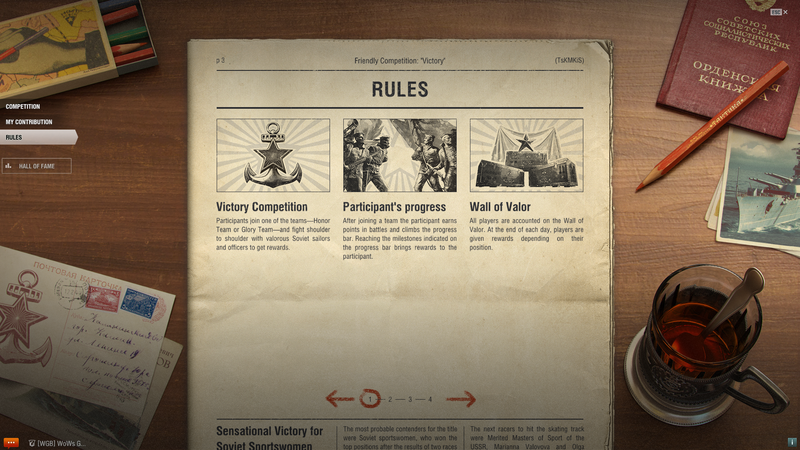 Comrades, it's time to stand tall and take part in a new friendly competition called "Victory"! 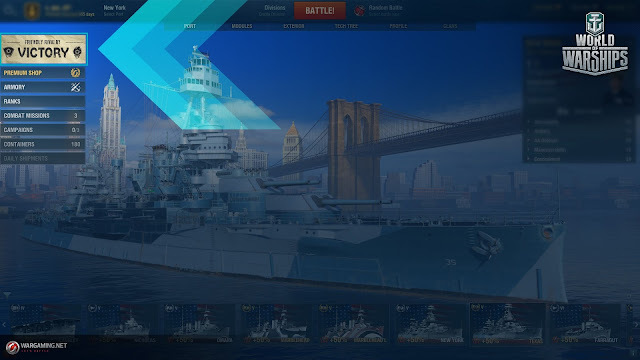 The game event is quite similar to the "Go Navy!" competition held last summer, but we’ve taken a combination of our experience and your feedback into account to create something even more interesting and exciting. 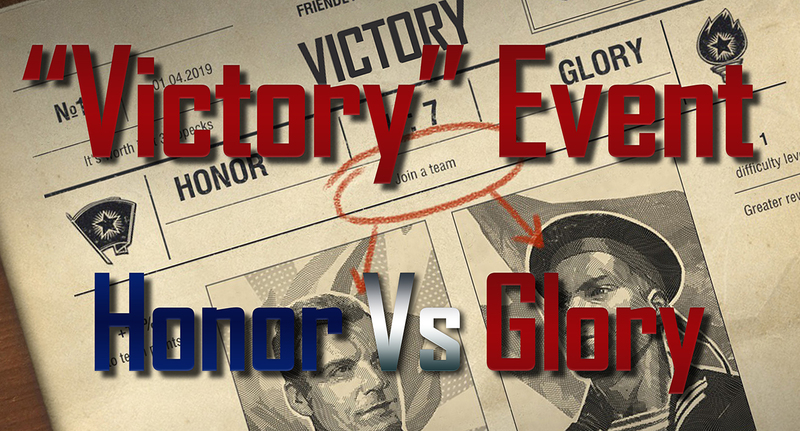 Every day, 0.8.3 sees you side with one of two teams "Glory or Honor". After making your selection you’ll arrive at the Black Sea Port, stylized especially for your team. 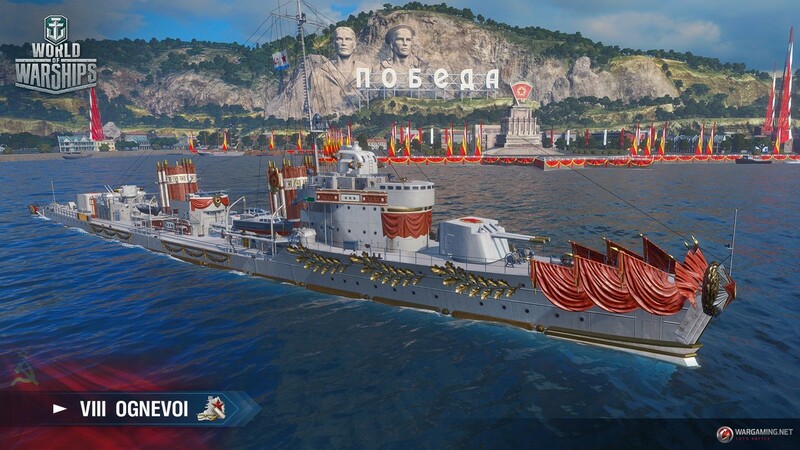 Enter battle in any mode on Tier V–X ships and complete personal tasks. 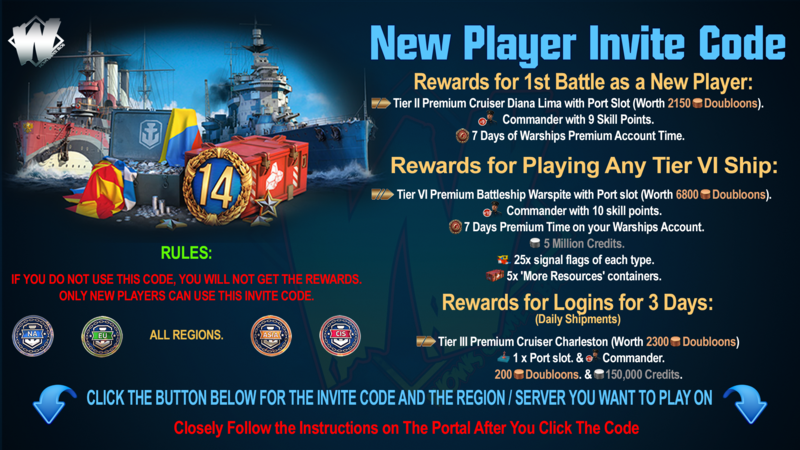 Earn points for your team and receive special tokens. Exchange tokens for valuable rewards in the Armory. Get even more rewards if your team wins. 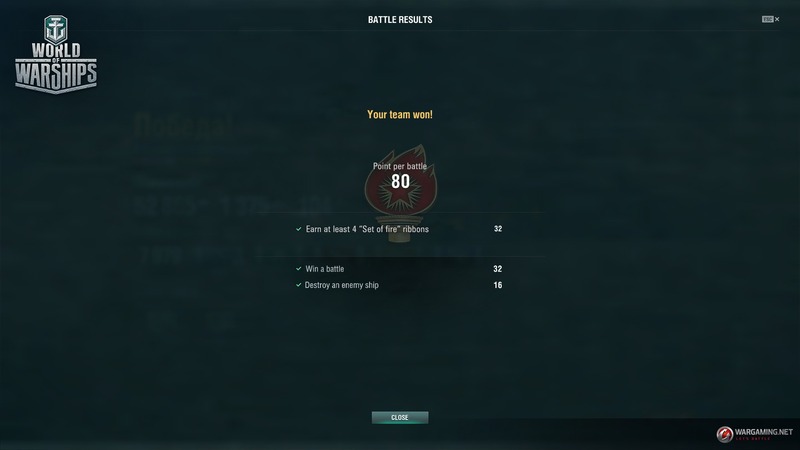 Team points are summed up every day. The team with most points is the winner of the day, and all of its members receive additional awards. 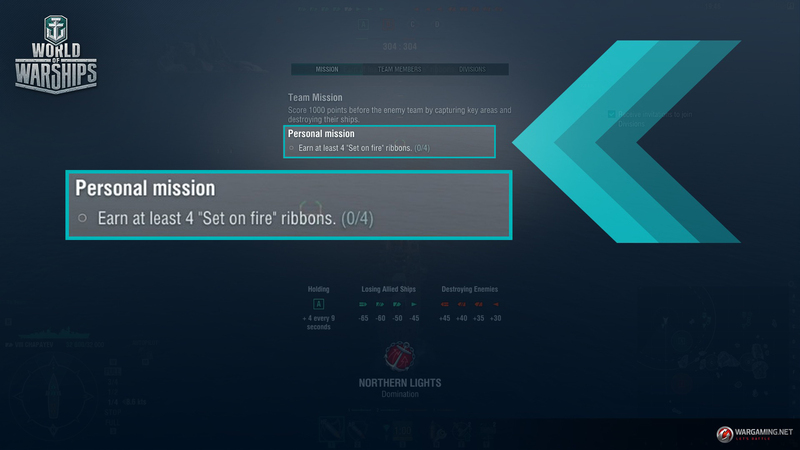 In a Random or Co-op battle, you can receive a personal task. After completing it, you’ll earn even more points. 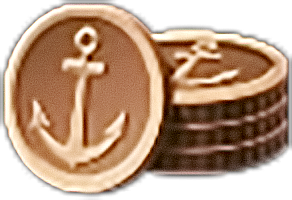 The tasks given depend on your ship and her individual characteristics. Please bear in mind that the task can only be completed in the battle in which you received it. Each day of the competition represents a separate stage. The team with the most points for a day wins the stage. 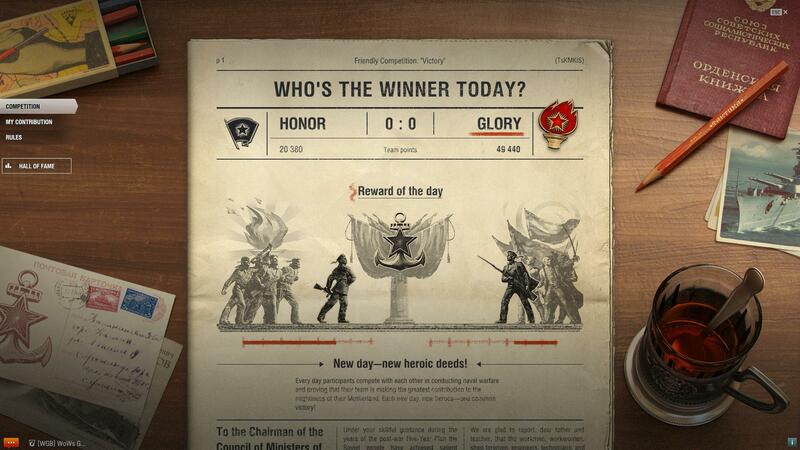 On the following day, the tasks given to the winning team become harder, and respectively the rewards more valuable. 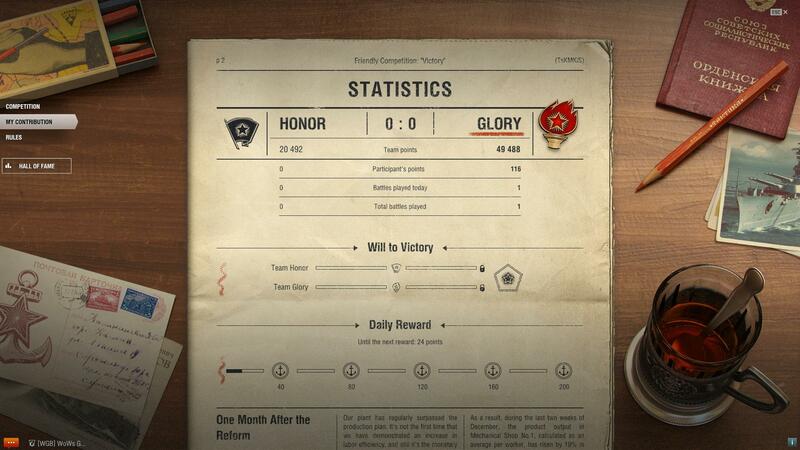 The losing team will receive a bonus to team points earned on the day following its defeat. Thus, the losing team will be given a chance to reduce the points gap quicker. 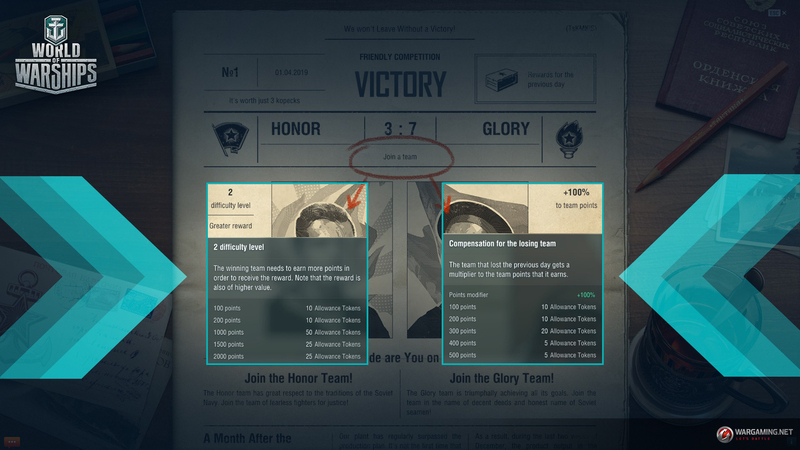 The difficulty levels for the winning team are reset in the case when the enemy team wins. The same applies to the bonus team points of the losing team if they win a stage. 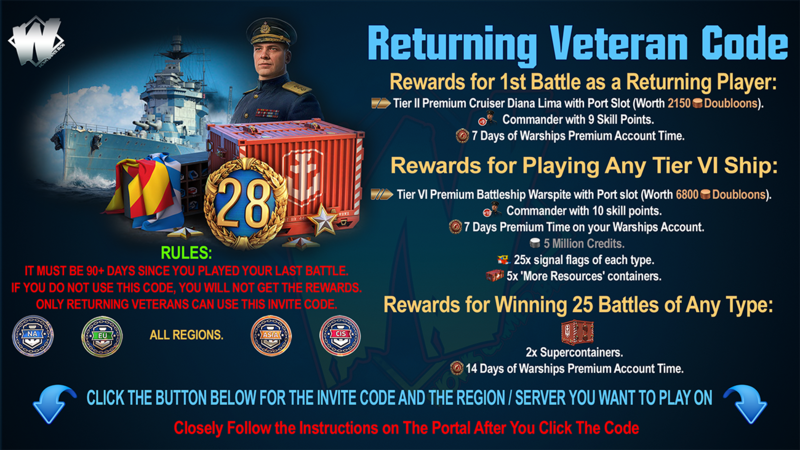 The major reward will be containers that carry a certain probability of giving you an early access to Tier V–VIII Soviet battleships. While participating in the event, you’ll receive special tokens that can be used in the Armory. 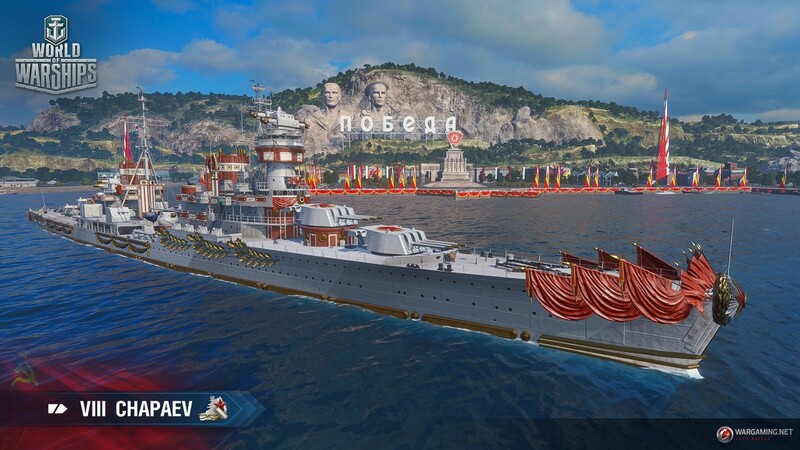 Exchange them for the new "Victory" expendable camouflage and special permanent camouflages for researchable Tier VIII Soviet ships: VIII Chapayev, VIII Kiev, and VIII Ognevoi. 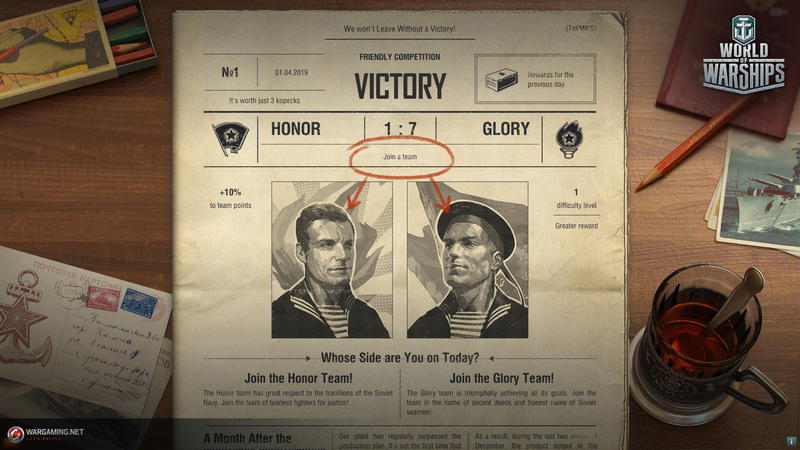 The Wall of Valor will demonstrate your achievements and compare your progress with the results of the Top 100 players. 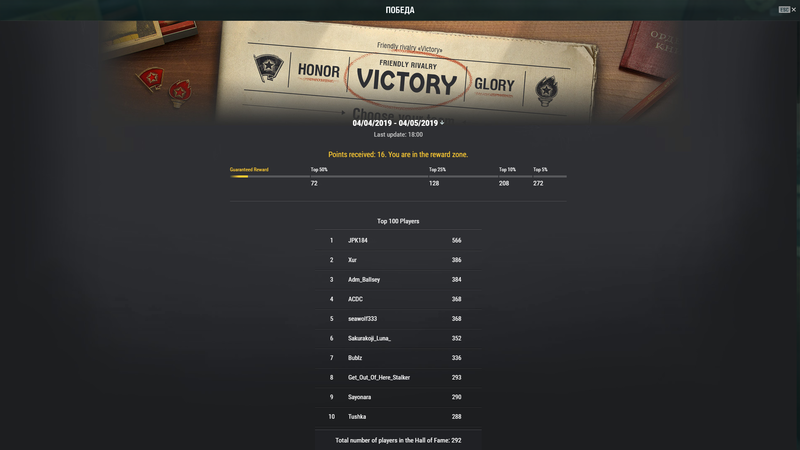 The more points you obtain and the higher your position on the Wall of Valor, the more tokens for the Armory you will get at the end of the day. IMPORTANT! 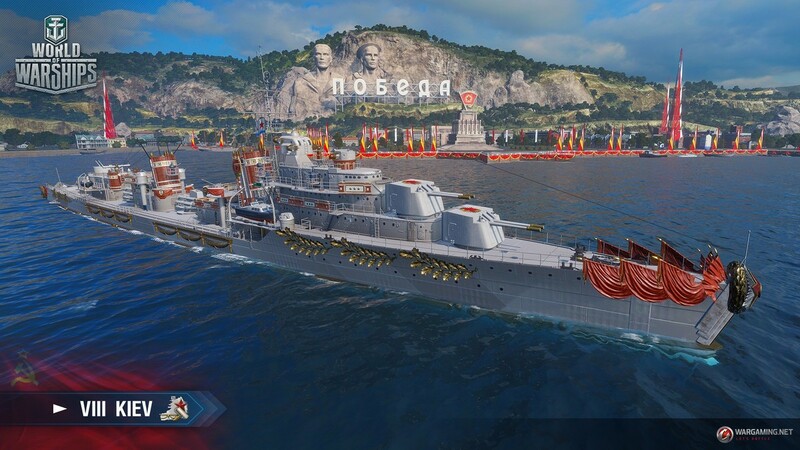 Because the update is still being tested, the information in this Bulletin is tentative and reflects the state of game development at the time of its publication. 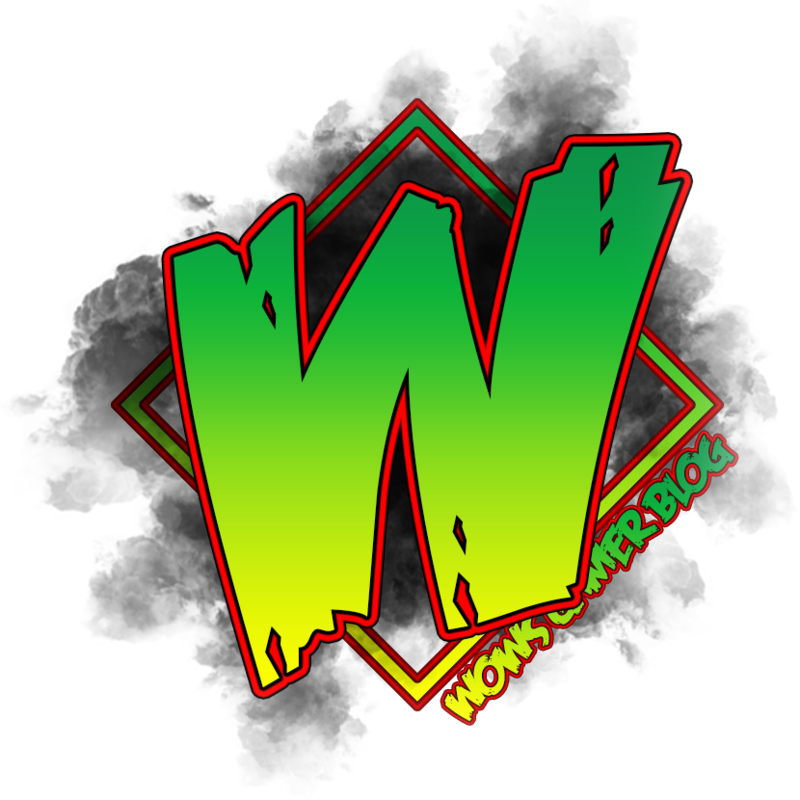 Some changes and new features may be removed entirely or implemented differently by the time the Update goes live. Screenshots, specific values of certain characteristics, and details of in-game mechanics will not necessarily be relevant after the update is released.